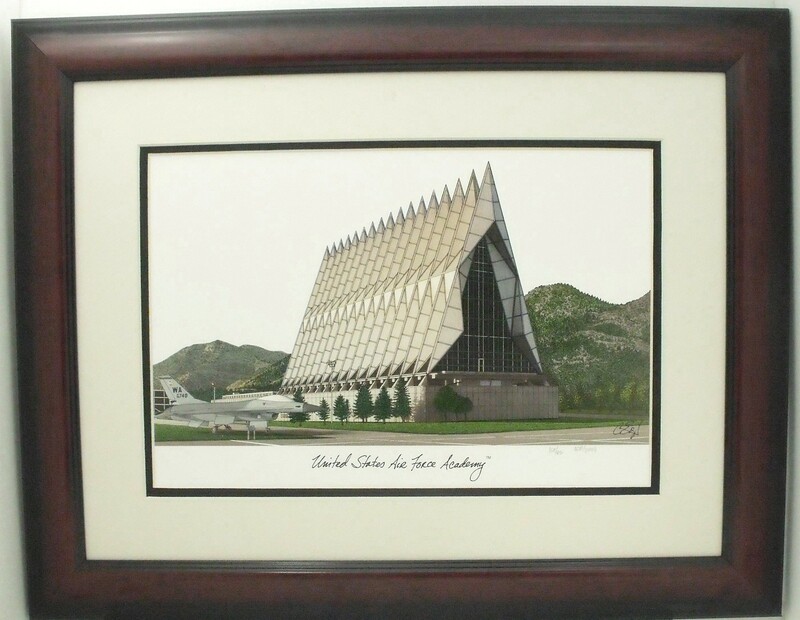 The print is double matted with an off white top mat and a black bottom mat. 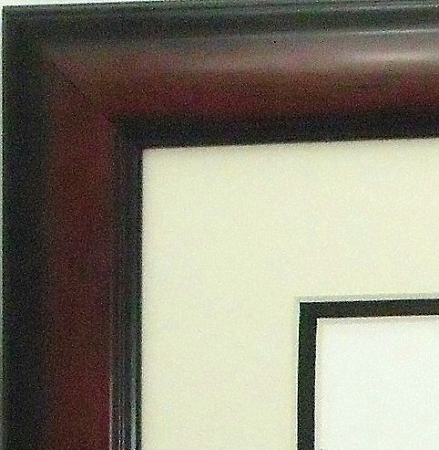 The mahogany wood frame has a dome face with a 1-1/2 inch width. Wall hanging unit.